The Melange Series 7 glass sculpture in a dark seductive purple indigo color sculpture allows the ambient light to define the form. 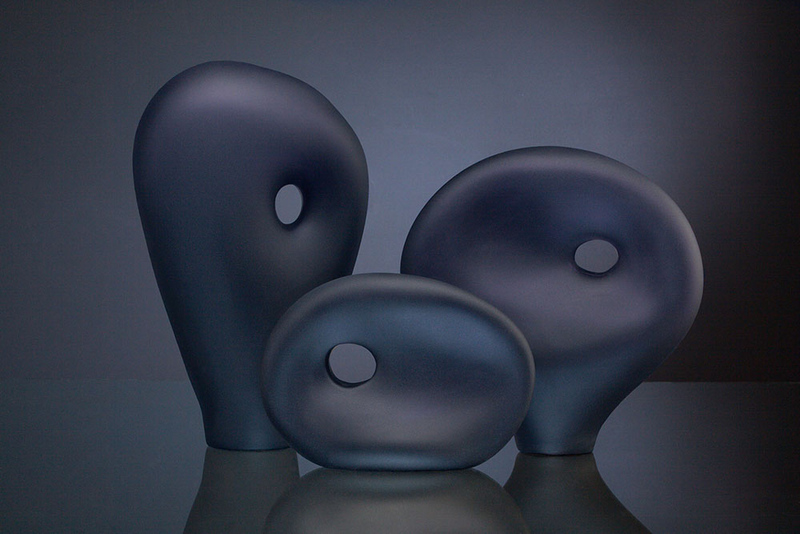 Inspired by the sculptor Henry Moore, a communicative connection is made with these figurative glass forms. A translucent quality is still very present in the glass creating a greater depth within in this set. This hand blown art glass sculptural composition has been sandblasted creating the translucent quality within the surface.